Not a great cook or never cooked for a Chinese New Year gathering before? 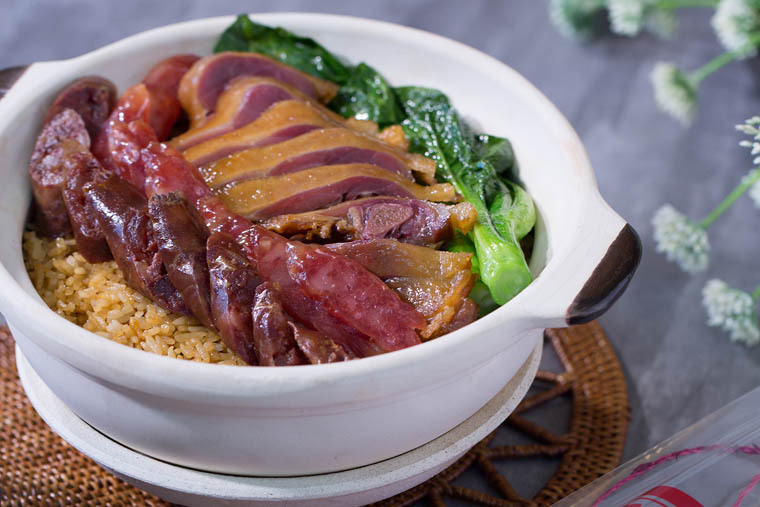 Why not make this super easy yet impressive Wax Meat Claypot Rice? It is commonly served at Chinese New Year. Traditionally, this rice is made in the claypot. 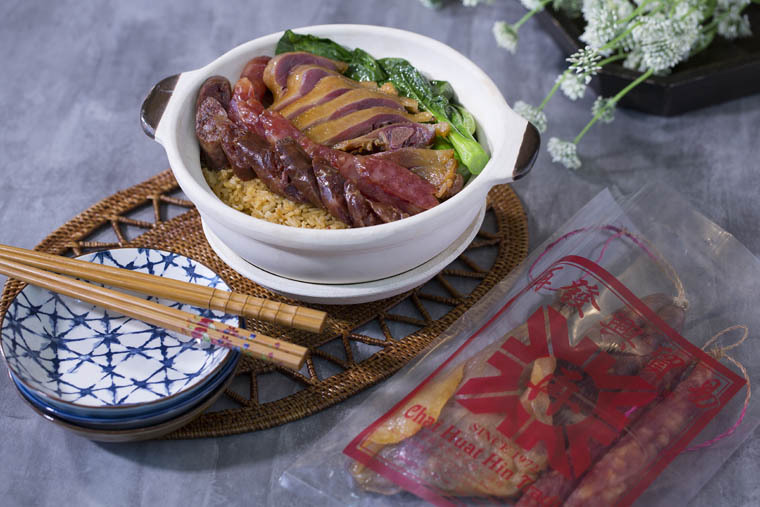 But since Chai Huat Hin who commissioned me to work on a Chinese New Year reunion dinner requested for something easy that anybody can do, I came up with Waxed Meat Claypot Rice recipe using the rice cooker instead. Why is this impressive dish so easy to make? Step 1 COOK RICE: Place rice and water in the rice cooker to cook. Step 2 BLANCH CURED MEAT: Meanwhile, blanch duck legs, Chinese sausage, and pork liver sausage for 5 minutes. Step 3 STEAM CURED MEAT: Then, steam Chinese cured duck legs, Chinese sausage, and Chinese pork liver sausage for 20 minutes. Reserve the oil from steamed cured meat. Step 4 MIX SAUCE: Mix soy sauce, dark soy sauce, oyster sauce, yellow wine, shaoxing wine, sugar, salt, sesame oil and oil from steamed cured meat. Step 5 FLAVOUR RICE: Pour sauce into boiled rice, mix well, and transfer into a claypot. Step 6 SLICE MEAT: Slice cured meat and arrange on rice. Serve hot. Why not make this super easy dish to impress your family?